Pharmacists under the aegis of the Pharmaceutical Society of Nigeria (PSN) have lauded the return of President Buhari to the country after a medical vacation of about 100 days and the health reforms he is implementing through the Federal Ministry of Health (FMoH). A socio-development Group, Epe Renaissance 2015, has donated 300 forms for November/December diet of the West African Senior School Certificate Examination (WASSCE) to youths in all 30 wards in Epe. The Minister of Labour and Employment, Chris Ngige, on Wednesday disclosed that his child is also affected by the current ongoing strike action by the Academic Staff Union of Universities, ASUU. A female journalist was attacked by unknown hoodlums when they were invading Owerri, Imo capital city. According to her, the thugs attacked her opposite the NUJ Secretariat along Port-Harcourt road, and the beat her up mercilessly in the process. The hoodlums also made away with her valuables such as cash, union I.D card and phone. Four soldiers and one civilian lost their lives after they were attacked by suspected militants in Bayelsa state on Monday, August 28, 2017.According to a report by The Punch, the victims were attacked along the waterways of Ekeremor Local Government Area of the state, while they were returning from Letugbene community. The militants had caught them by surprise and disarmed them before moving them to a location in the creeks where they were murdered in cold blood. The civilian, a boat driver, was shot to death after jumping into the river to escape the ambush attack. Chairman of the Central Zone of Ijaw Youths Council, Tare Porri, confirmed the killings to Agence France-Presse (AFP). He said, "Four military officers were killed in cold blood alongside a civilian. Military officers went to Letugbene community and on their way back, some persons accosted them and killed all of them." He also said that the attack was unprovoked. Community leaders from the three senatorial districts of Imo state on Wednesday, August 30, called on the state House of Assembly not to delay in the impeachment process of Governor Rochas Okorocha for oppressing the people of the state. According to Vanguard, the Imo leaders’ made this known while reacting to the recent demolition of Ekeukwu market. Nigerian Bar Association (NBA) also called for the resignation or impeachment of Okorocha for his alleged ''flagrant disobedience of subsisting court orders''. Chief Sam Obaji, group’s spokesperson also said the governor had turned himself into an emperor and was heating up the polity in the state. Six young West Africans have been announced as the inaugural recipients of the prestigious, fully funded Africa Initiative for Governance (AIG) Scholarships which were established to inspire the development of a high performing public sector across Africa. These talented individuals are set to leave for the Blavatnik School of Government at the University of Oxford to pursue the Master of Public Policy degree, after which they will return to their home countries to work in the public sector. For 2017, the opening year of the Scholarships, AIG elected to fund an additional scholarship, bringing the total number of AIG Scholarships awarded in the year to six. The 2017 AIG Scholarship recipients are Emokiniovo Akpughe (Nigeria), Efosa Trevor Edobor (Nigeria), Abdul-Fatawu Z. Hakeem (Ghana), Chukwunonso Iheoma (Nigeria), Oluwapelumi Simpson (Nigeria) and Emmanuel Taiwo (Nigeria). Twitter's decision to ban user @nemuismywife has attracted ridicule on social media. According to BBC ,it started on 20 August when he was repeatedly bitten by a mosquito as he was watching TV. 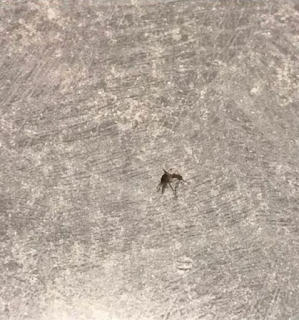 After killing the mosquito, he tweeted: "Where do you get off biting me all over while I'm just trying to relax and watch TV? Die! (Actually you're already dead)." He added a picture of a dead insect to his tweet. Some time later he received a message from Twitter saying his account had been frozen and cannot be reactivated. He set up a new Twitter account, @DaydreamMatcha, to criticise Twitter's decision. He tweeted: "My previous account was permanently frozen after I said I killed a mosquito. Is this a violation?" This is the first picture of the devoted mother who sacrificed her own life to save her three-year-old daughter in raging floodwaters. 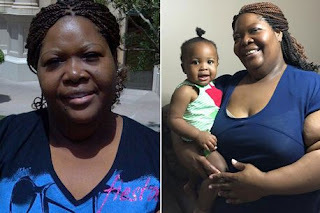 Collette Sulcer, 41, was swept away in the Texas floods while trying to carry her daughter Jordyn to safety. Rescuers found little Jordyn alive, clinging to her mother's lifeless body. It's believed the tragedy happened when she got stuck in a canal as she tried to flee rising waters in her car caused by Tropical Storm Harvey . “They were in the water for quite some time,” officer Carol Riley, a spokeswoman for the Beaumont Police Department, said. “The baby also had a backpack that was helping her float on her back and she was holding on to her mom.